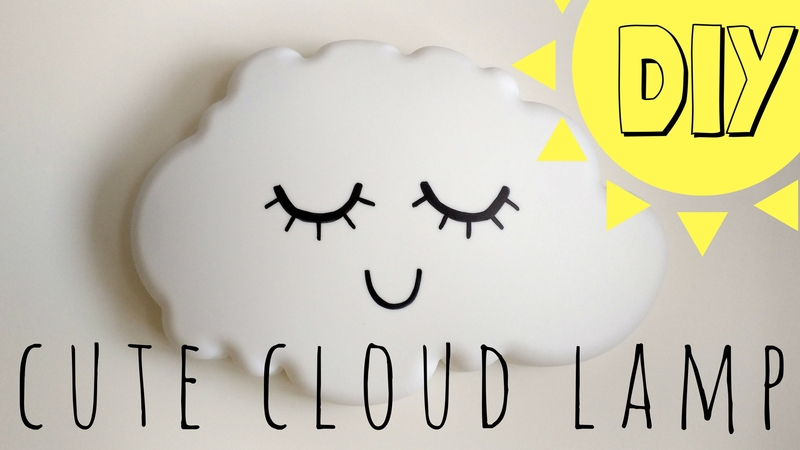 Something I have been working on semi-secretly for the past few weeks is finally launching: I started an Etsy store! And the list goes on! I love the versatility of it, as it can be customized for any occassion or season of life, and I love being able to use only recycled materials! The kraft cardstock I use is all 100% recycled from food packaging, like boxes of granola bars and oatmeal. The mixed fibers I use are all either thrifted or vintage, and are an eclectic and exciting mix of lace, ribbon, yarn, and fabric! I love making these lush and juicy tassels and customizing each one to have a unique mix of textures and colors. You can bookmark my store page, as I will be adding new listings every week! As some of you may already know (If you read my last post… hint hint!) I am expecting! And as the nesting instinct is swinging into full speed, expect to see a few more decor projects that I am working on for the nursery! – You may need to go over your lines a few times to make sure they are opaque and not showing any streaks. – You can correct mistakes with a cotton pad or swab dipped in rubbing alcohol. 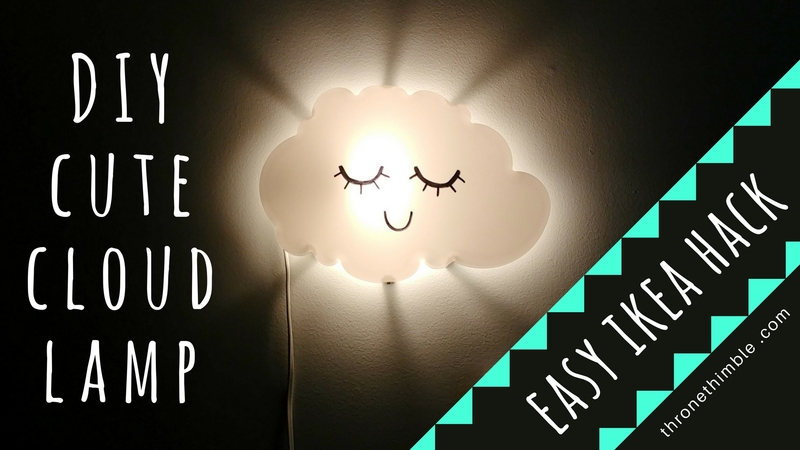 – This is a DIY, so don’t get hung up on making it perfect! I love the slight imperfections as it adds character. Ever since we moved into our current home, I have fantasized about having a marble top dining table. However, since we are on a budget, splurging on one was just not meant to be. In the meantime, I made do with a hand me down glass top dining table that I hated (see my previous dining table update here!). We have since upgarded to an IKEA one that I love! 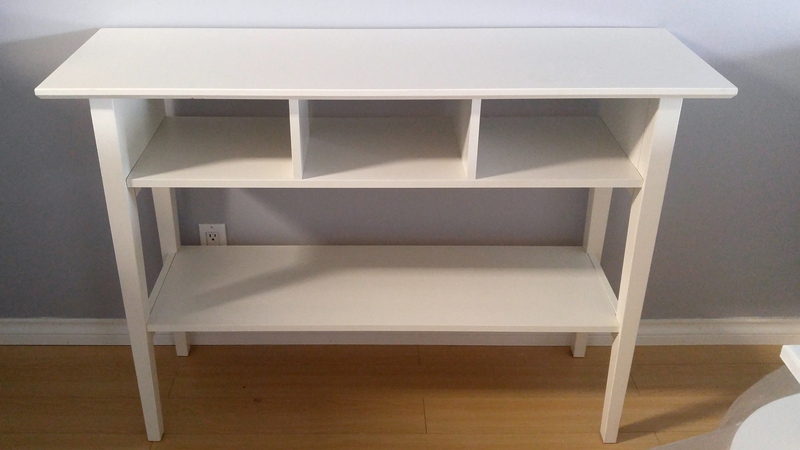 It is glossy and white, and we already had white bent wood chairs to go along with it. However, with that ugly dining table out of the way, our hand me down bar was now very much out of place. It was a matching dark wood and glass set, and I know it had to go! So off to IKEA we went, but could not find something that we both liked, that was functional, and pretty, and under $50- am I asking for too much? The furniture piece was fairly solid, but once we dragged into our apartment I gave all the screws a little tightening, just in case. I then wiped down every surface with sanitizing wipes, and gave some of the scuffs along the legs a little scrub with a magic eraser. It was already looking better! The top surface of the bar had some water damage, with some areas scuffed right down to the particleboard. I know I was going to cover the top, and I also knew just the right way to do it- contact paper from the dollar store! My local dollar store, Dollarama, has a good selection of sticky back shelf liner and contact paper in a variety of colors and patterns. I picked up 2 rolls of marble printed contact paper for $2 each and got started as soon as I got home. After wiping down the surface one more time, I smoothed on the contact paper. It is forgiving enough that if you have to lift it and try again you can, as long as you do it right away before really pressing it down. I find it easier to go slowly and squeegee the bubbles out of the way as I go along. I wrapped the paper around the beveled edges and smoothed it down around the corners, trimming as needed. If you do end up with some bubbles during your application, you can poke a small hole with a safety pin, and smooth it down to let out the air. You can also smooth out bubbles towards the edges to get an even surface. Once it is all smooth, burnish your surface gently to adhere it securely. I find that the stickiness is enough to hold it down well, no additional adhesive is needed! I have done this project a few months ago now and it is still holding well, no peeling at all! Unfortunately my contact paper roll was a bit too short to cover the entire length of my bar top, so I lined up my next roll to finish it off. There is a seam, as the random marble pattern is not made to be repeating / matched, however it is not too obvious in the finished piece. Here is a close up, judge for yourself! 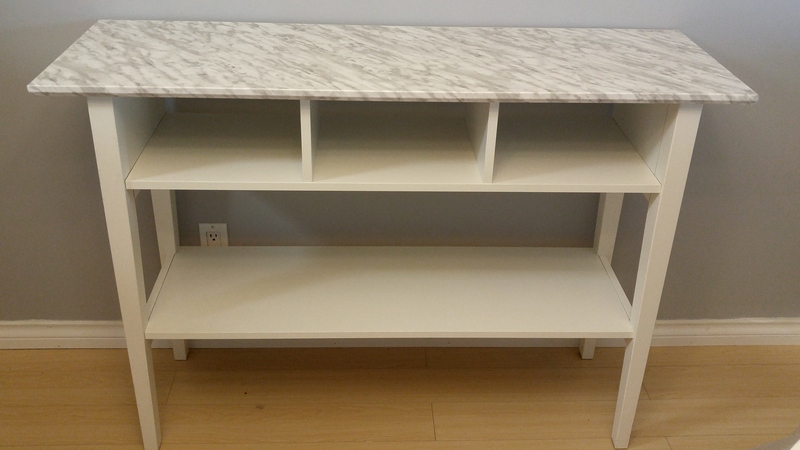 This “marble” top bar definitely satisfied my craving for a classy and polished piece to complete our dining room. Total damage done = $33. However, you can definitely do this for any piece of furniture you already have. 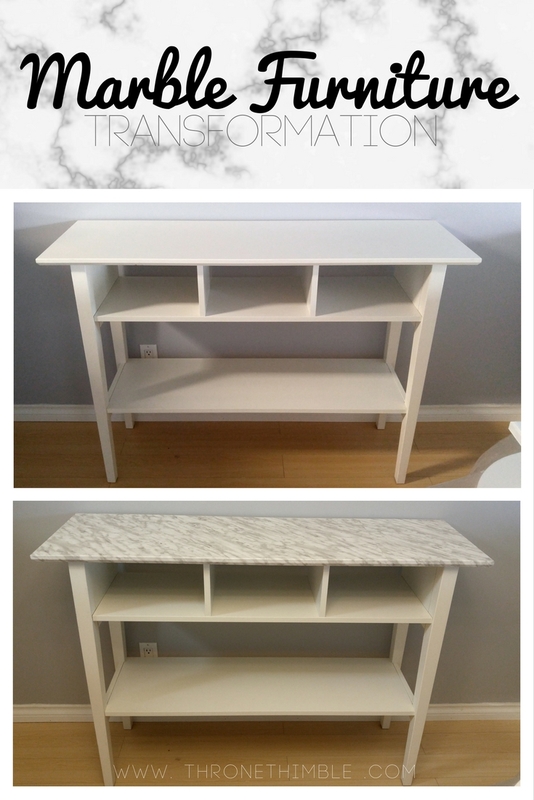 It is such an easy makeover, I am thinking of trying it with one of my living room side tables! 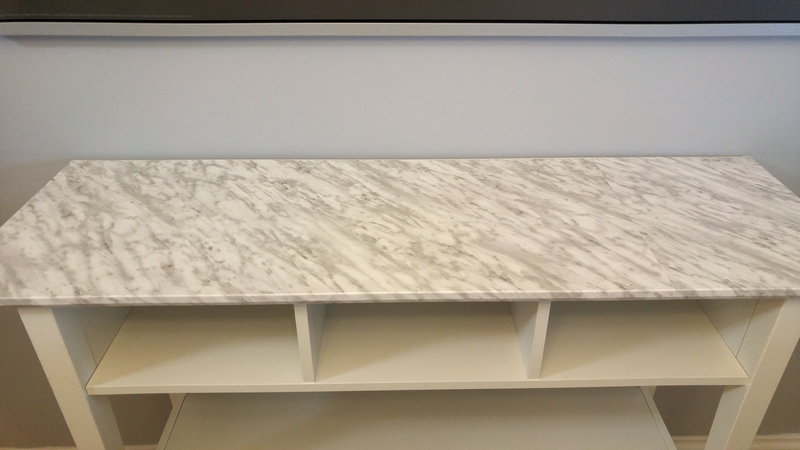 If you are needing a bit of marble elegance in your space, give this project a try! 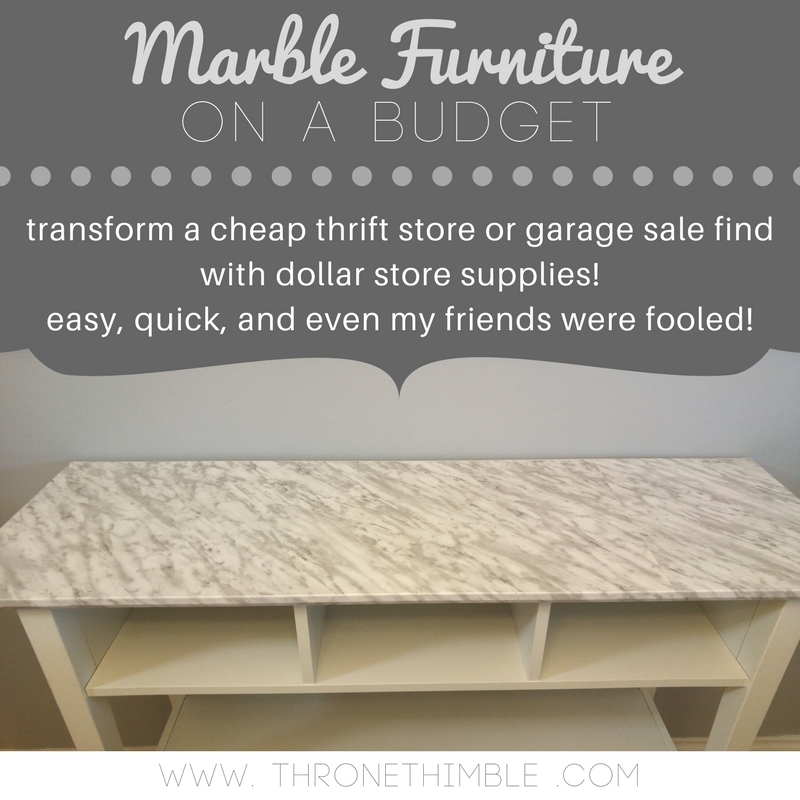 It is so affordable, quick, easy, and (so far) durable, and will easily transform even the most boring pieces in your home! The contact paper sticks to any smooth clean surface, so will work with laminate / IKEA type furniture, glass, metal, and I would assume even wood, as long as the grain is not too prominent. Quick note- keep in mind this contact paper is removable! this means you can try a different style and take it off if you change your mind without damaging the furniture. 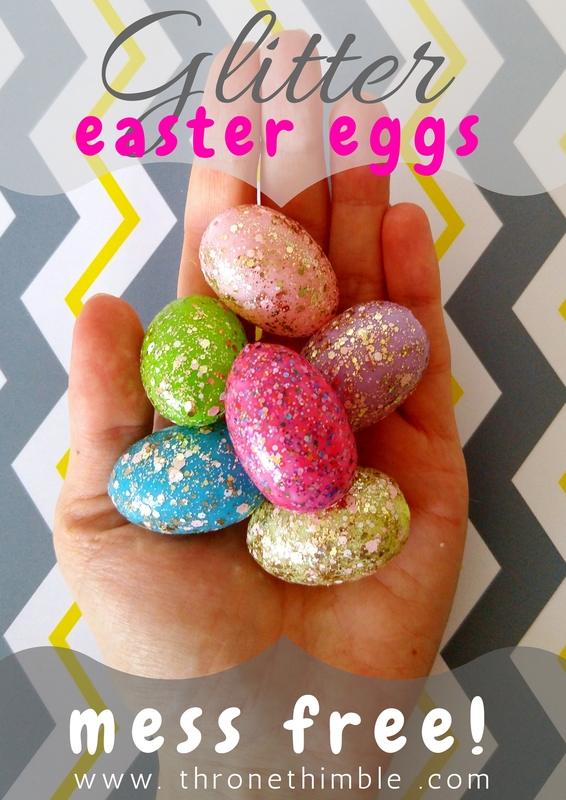 Glitter Easter Eggs- MESS FREE! Now, I love glitter as much as the next girl, but as a crafter I am also no stranger to the phrase: “glitter is the herpes of the craft world” LOL! And from experience, it is definitely true- once you start to play with glitter in your crafts, you will be finding flecks of the stuff in your hair and between your toes for the next few months! 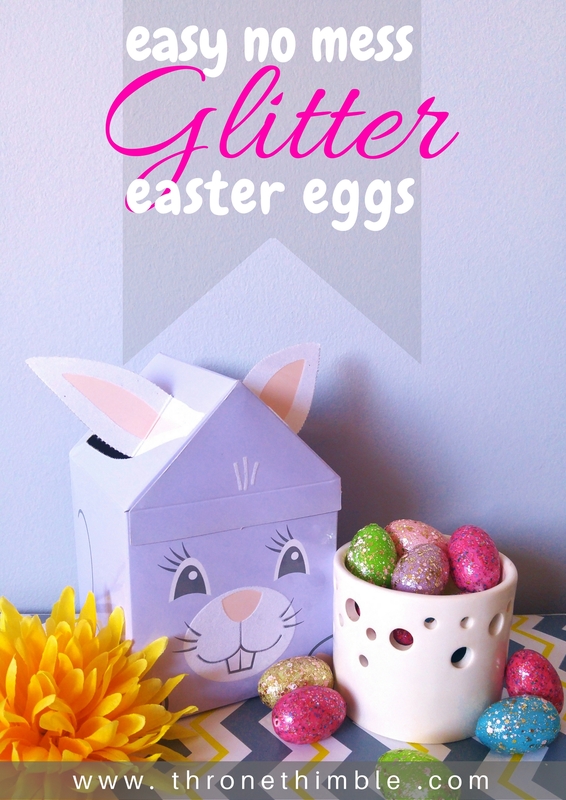 So here is one mess free way to add some glitter to your life, and add some bling to boring cheap plastic Easter eggs! I bought these plastic eggs all strung up as a garland, so I cut the string so that they can be used individually in my décor. This left the holes in the eggs (like beads!) which is actually a good thing! I poke a skewer through the holes to give a good grip on the eggs, so its easy to get at all angles and turn it without actually touching it! If you are using the type of plastic eggs that open in half, you can still get a good grip on the eggs by separating the halves, and holding each side from the inside of the egg. So just glob on the glitter nail polish- and I really do mean GLOB! No need to get caught up in making neat strokes, as glitter nail polish doesn’t work that way! I have also seen a nail artist use a makeup sponge to dab on glitter polish for maximum coverage, but that seems like work, so instead I just layer on thick swipes of polish until it looks like the glitter is evenly distributed. You can leave the glitter more spread out and sheer to let the pastel color of the egg show through, or you can keep layering the polish on until all you see is glitter- totally up to you and the look that you prefer, so have fun experimenting. Since the egg is already on a skewer, it is easy to pop it into a cup or a container to dry without touching anything, while you work on the next one. I did try using glitter glue for this project too, and while it looked pretty, it takes forever to dry in comparison with the nail polish. And since I’m all about instant gratification when it comes to crafts, I just went with the polish for my eggs. You can string these eggs up as a garland, lay them out in a decorative bowl, glue them to an Easter or spring themed wreath, what other fun ways can you think of to use these fun eggs in your décor? If you like this project, check out my Easter eggs project from last year, where I show how to water marble with, you guessed it, nail polish! With the holidays fast approaching, I wanted to wish all of my readers a very happy and relaxing holiday season! I hope you are all cozy and warm, and enjoying all of the season’s festivities! 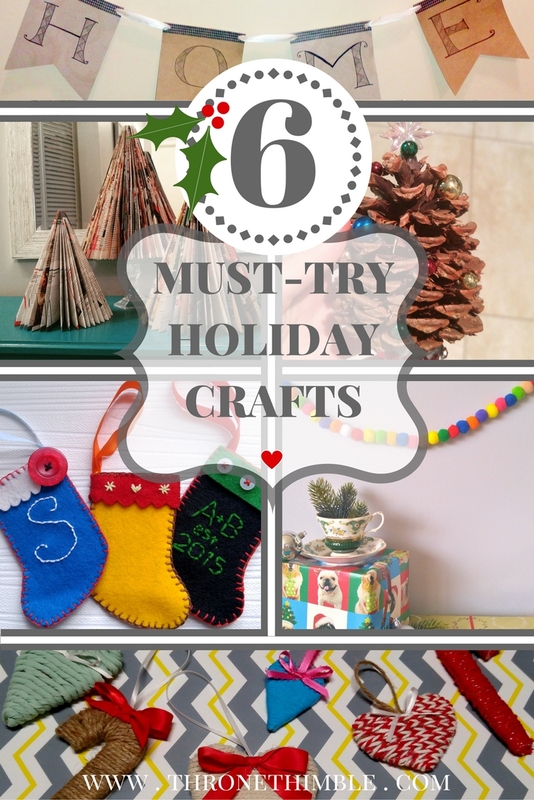 If you are still looking for some last minute holiday crafts, or if you are starting to feel a bit of cabin fever, maybe some of these past tutorials will fit the bill! Upcycled bunting using cereal boxes– do your own lettering to spell out festive words like “NOEL” , “MERRY” , or “JOLLY”, or go all out to spell longer holiday phrases! Or, use sparkly washi tape as your accent, and write “2017” for your New Years’ Eve party! Magazine Christmas trees– I made these last year, and they did not survive in storage all too well, however they are so easy and did I mention FREE to make, that I may as well make new ones this year! Add glitter or glue on beads or small ornaments for an extra festive holiday look! Felt stocking gift card holders– These tiny stockings are so fuzzy and cute, and such a thoughtful way to customize a simple gift. Tuck in a candy cane for an extra treat! Plus, the lucky recipient can keep their personalized stocking as an ornament for years to come. DIY string ornaments– the name says it all- if you have some cardboard and string, you can make these! These are easy to customize as well, from ribbon bows to jingly bells and googly eyes! 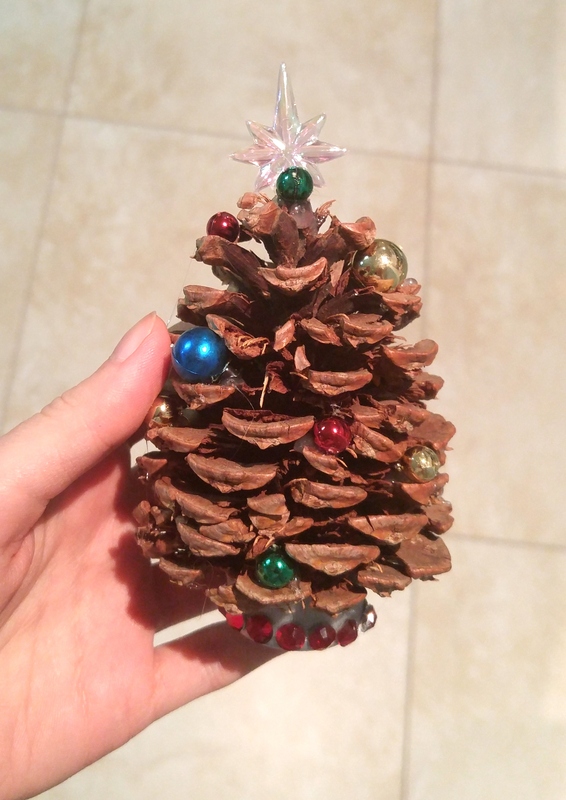 Pinecone Christmas tree– the perfect combo of using natural materials and upcycled found items. Sprinkle some glitter on these cuties for the perfect “snowy tree” look! Wishing you all a safe and warm holiday season ❤ see you in 2017! For the base, use a bottle cap! You can decorate it as you please- paint, stickers, gems, whatever you happen to have on hand! Or leave it plain, that works too! 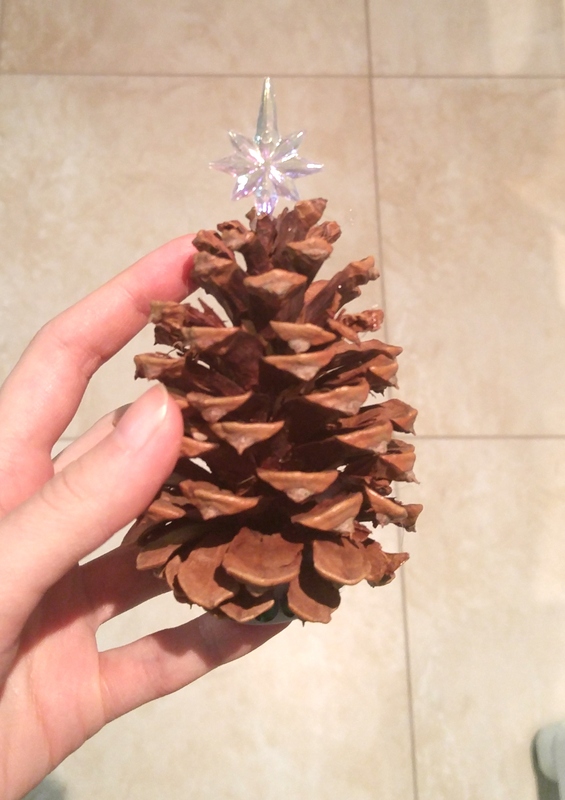 Use hot glue to attach the base to the bottom of the pinecone, and check to make sure it is standing up straight. For the star at the top, and the ornaments, use beads, pom poms, even rolled up tin foil! You can also cut up a string of mardi-gras beads (you know you have a strand hiding in your junk drawer!) which makes the perfect metallic look ornaments. You can stand these up on your mantel or along a window ledge as a little pinecone forest, or attach a loop of ribbon at the top to transform your pinecone tree into a festive ornament! It will look perfectly natural and rustic on your tree, or draped over a bottle of wine as a gift embellishment! Feel free to make your tree your own- you can paint it, add glitter, or puff paint along the edges for a snowy look! If you are trying this project with kids, a safe process is to encourage them to select the ornaments they like, and point to you where they would like each one placed, and you handle the hot gluing, to protect little fingers! One last wedding DIY before I switch gears into holiday crafting! This is a more involved project, and the longest video I have made so far! But really it is a culmination of several other small projects into one large one! To preface- I have nothing personal against real flowers! 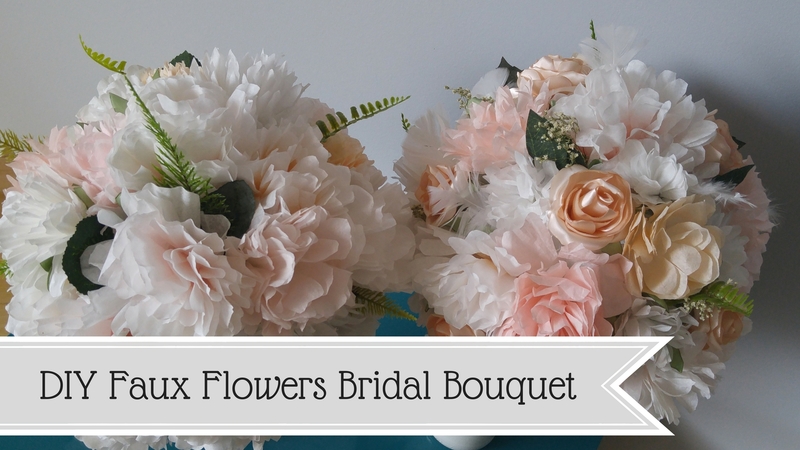 It’s just that for my own bridal bouquet, I wanted to be 100% in control of the result, and I wanted to have one less thing to worry about the day-of! You are in control of how it looks, down to the tiniest detail. It is made weeks or months in advance, so one less thing to stress about on your special day. Using upcycled and affordable materials is much more budget friendly- weddings are already expensive! The materials for my bouquet came to about $15 altogether! It is durable- lasting through scorching heat, endless photos, hours of dancing, and bouquet tossing! Plus, you get to keep it afterwards to display at home! – Toilet paper rolls– Free! Or, you can use paper towel roll, or gift wrap roll. – Felt– about $0.30 a sheet at a craft store (like Michaels’). – Ribbon– Great chance to upcycle old gift ribbon, or use ribbon from the thrift store. In mine I also layered in strips of fabric from my MIL’s wedding dress. 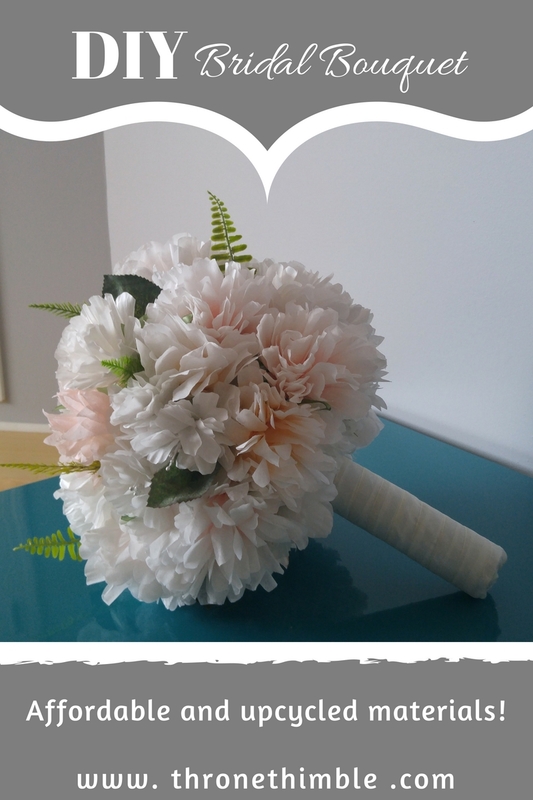 – Flowers / stems / foliage– You can use any plastic or silk flowers of your choice, or better yet, make your own! I used my coffee filter flowers for the bulk of it, filling in the gaps with cupcake liner flowers, as well as ribbon roses for accents! Leaves and other green elements are from the dollar store. 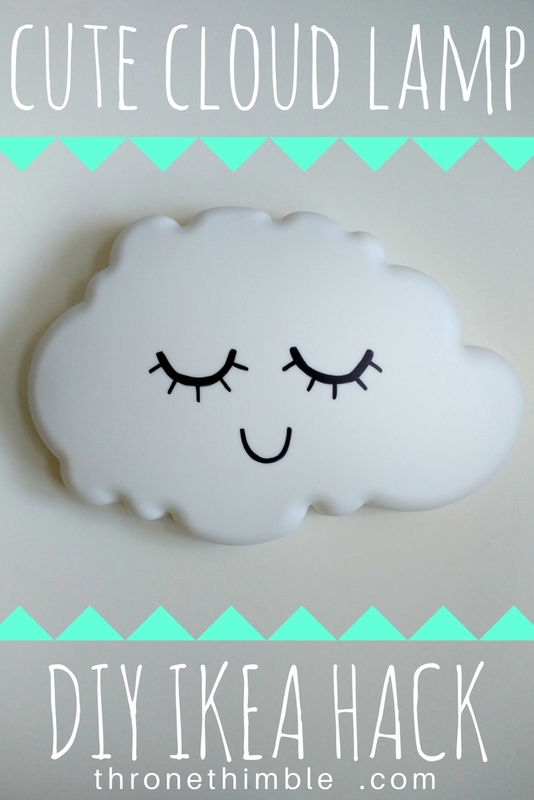 – Your tools– hot glue gun and scissors! Start by constructing you handle: Cut two toilet paper rolls length-wise to open them up, and glue them end-to-end to create one extra-long roll. Glue your roll closed, adjusting the width by rolling it into itself. We will be adding a few more layers on top, so the result will be thicker. Close one end of your roll by gluing a piece of cardboard, or leftover toilet paper roll, to cover it completely. To attach the handle to the styrofoam ball, score the area using the handle, then use your scissors to dig up and deepen that score line, so that the handle can slide in about 1/2″. Glue liberally to create a secure hold. Cover your handle with felt to smooth over any seams, and glue the bottom for a clean finish. Wrap your handle with your choice of fabric or ribbon. Add any elements you choose to personalize your bouquet handle- interlacing ribbon in different colors, bling like pearls or rhinestones, lace or bows- make it your own! Start adding your flower stems to the styrofoam ball. Start with the largest flowers, and work your way down to smaller elements like leaves or small flowers. If your ball is dense, the stems should hold on their own, but you can always add a bit of glue to make it more secure. Distribute your flowers evenly around the ball, stepping back and rotating your bouquet frequently to view it from all angles. Finish your bouquet by adding flowers or leaves to camouflage the connection between the ball and the handle.